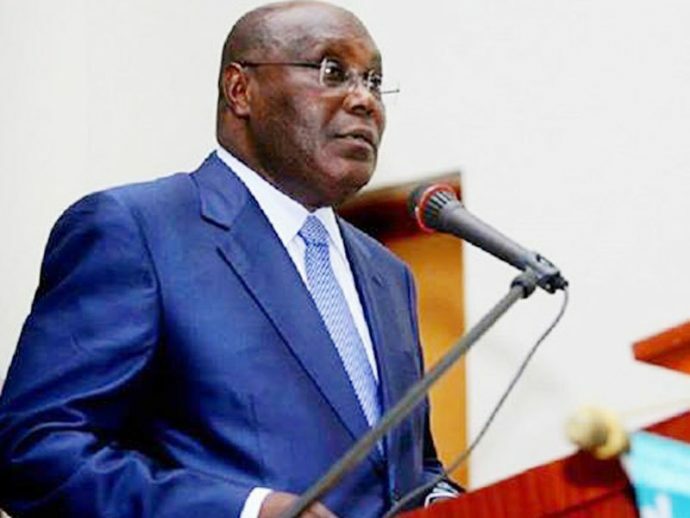 How entertainment sector will benefit from my presidency, Atiku Explains – Royal Times of Nigeria. Atiku Abubakar, Peoples Democratic Party (PDP) presidential candidate, says if he is elected, he will implement policies that will foster the development of the entertainment industry and protect practitioners against piracy. The plans were stated in his recently released policy document which has a delivery timeline from two thousand and nineteen to two thousand and twenty-five. The document highlighted the issues affecting the creative and entertainment industry including inadequate access to funding, Intellectual property theft, piracy, uncoordinated distribution channels and lack of access to tax incentives were also listed as major issues. Atiku pledged to enact right policies and legislations that will provide the latest infrastructural facilities, financial and business development facilities as well as provide specific finance and strategic support tailored to each segment of the entertainment industry. He said that his policy objective will be focused on demonstrating the potential of the entertainment and creative industry in Nigeria. The policy document further states that the plan is to contribute to economic growth and job creation, as well as providing a roadmap for the sector’s development. Atiku said that the policy document seeks to create intervention schemes focused on offering subsidy to the creative arts industry in order to promote stand-alone businesses.